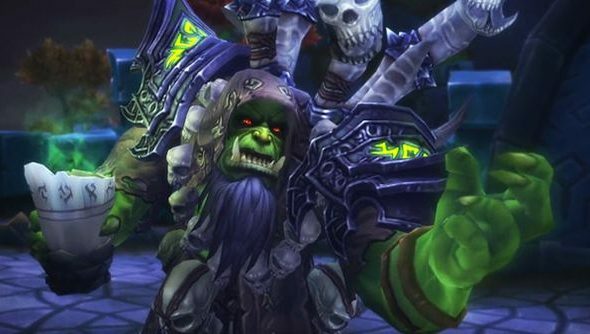 If you’ve been playing World of Warcraft’s Tomb of Sargeras raid, you might have missed its biggest secret. If you do something specific, you can turn into a raid boss and try take down your allies, in what might be the coolest WoW easter egg there’s ever been. It’s not just any raid boss, either. For more like WoW, check our list of the best MMORPGs. The new raid is peppered with clickable runes that reset each week with every lockout. Only one player can click the runes, and you must click them all before the lockout resets. If you manage this complex task, the game transforms you into Gul’dan and lets you try to take down your allies. You can swipe at them with a scythe, you can hurl fireballs, and you can fire out a concentrated blast of heat. Though you are now essentially a raid boss, keep in mind that you retain your health pool. In other words, tanks are probably the best applicants. Check it out in the video above.